UK police are being sharply criticized for failing to notice any connection between four murders that happened over the course of fourteen months. The four victims were all gay men, aged between 21 and 23, and each had been dosed with GHB. Gay rights activist Peter Tatchell stated that police had been told ten months ago that a serial killer was possibly targeting gay men. Tatchell said he was contacted last December by a friend of one of the victims who was “disturbed” that he had not heard back from police despite raising concerns that the deaths may be linked. 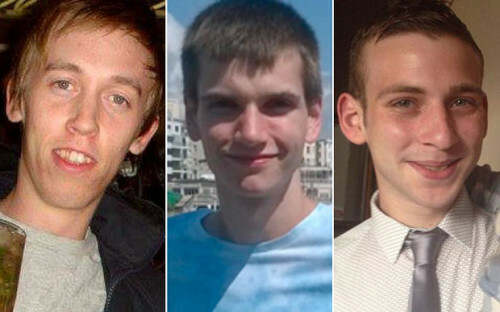 “To have three young men found dead in public places in mysterious, unexplained circumstances – all within a mile of each other and within the space of three months – should have triggered alarm bells,” Tatchell said. 40-year-old Stephen Port was charged on Sunday in connection with the killings. His trial is set to start in April. “We are keen to trace anyone who may have information in connection with these incidents,” Detective Chief Inspector Tim Duffield said. The victims are Anthony Walgate from Barnet; Gabriel Kovari from Lewisham, Daniel Whitworth from Gravesend, and Jack Taylor from Dagenham. Stephen Port is charged with the murder of four gay men.